It’s the end of March and Get to Work is inches away from your fingertips. However, but before you work your way into a new expansion, we’ve got a release full of stuff. We’ve got NEW! We’ve got UPDATES! We’ve got Bunny Eggs? We’ve got performance improvements! We’ve got fixes! And hopefully you are comfortable as you read on. Build 2 levels down to create the ultimate in underground excellence. The Basement Tool is found in the Build sort, next to the Wall tool. Dig in and start building. For the mathematically challenged, that is SIX FLOORS! You can now download lots from the Gallery that are larger than your current lot, and crop them to fit. Paint from Reference is a new option on the Easel that lets Sims paint family portraits, landscapes, or whatever else you want! We have added a Notebook, found in the phone menu, under a tiny button at the top of the menu (we tried to make the button even smaller, but some folks wanted you to find this new feature). Now as your Sim is gardening or fishing and they make discoveries (such as splicing recipes, or what bait caught what fish) these discoveries will be catalogued in your Notebook. Your Sims will now meet and build relationships with their co-workers and schoolmates. Actions that you can take while your Sim is at work/school have been updated to allow you to gain relationship with or meet more co-workers/schoolmates. Overmaxing! When you reach the top of a career, there is a reason to continue to perform well, as you can now continue to gain rewards and promotions. We have revised the interface for traveling to and choosing worlds to play. Click on the icon in the upper left corner of the map to take it for a spin. Our first challenge rewards are hair… um, here! A new hair for Female and Male Sims. Look for them in Create A Sim, because if you are looking for them elsewhere, we should consider having you talk with someone. Gnomes are new! Well, these gnomes are new! Gnomes are old, I mean historically speaking they are quite old, but in our game they are older, I think, though I guess we’ve never really asked how old, but we can talk about that another time. And if you dare… Guardian of the Gnomelaxy is also hiding in our catalog. What’s new in The Gallery? Now you can see who is following you from the Player Profile page. The file size for downloads is now available in The Gallery. The Bunny Egg Hunt is on! For the month of April, you will be able to hunt and search out 10 decorative eggs, each with a different design – found in various locations in the world (some might say an egg lays with the frogs). As you collect each egg, your collection information will update in the Household Collection panel. You can collect multiples of the same design but they don’t contribute to your Collection. Collect all 10 of the different designs to unlock a reward… it’s big, it’s stuffed, and it might be a bunny. But I’m not confirming this information. Well, that’s about it. Except, there is more… do you want the rest? Better start reading. The development team has been hard at work making performance improvements to various systems in the game. Some are the low level, under the hood type that will shave a millisecond here or there, some are a bit more. I’ll do my best to keep the technical jargon to a minimum. Gameplay decision making has been made more responsive. Posture decision making has been optimized – this would be something like how the Sim decides whether to Sit or Stand. Autonomy decision making has been improved in determining the time it takes for a Sim to decide what to do next. Memory optimizations have been made to the amount of memory the game is using during runtime. Memory use is a leading cause of thoughts, actions, and software crashes. Addressed a large performance spike that was caused by hovering your mouse cursor over the pool and pool edge. Improved the performance of the View Screenshots section of the memories interface. Users should not experience excessive hang times when loading this screen. 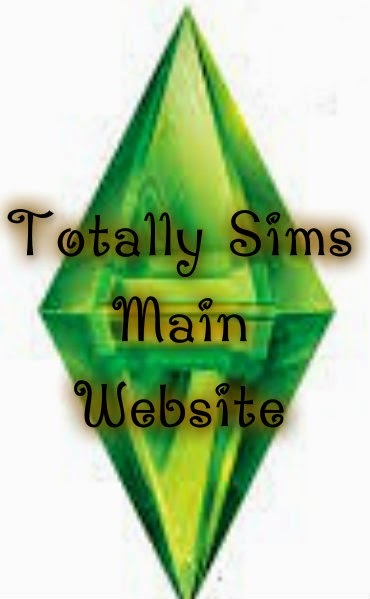 Fixed a performance issue that was resulting in too many unique Sims being created due to a previously created Sim being added to a "Don’t use me" list for far too long when they were needed. We have shortened the "Don't use me" list length. Save Time optimizations have been made which will speed up save operations as well as travel times. In addition to all the new content, features, and performance improvements being added with this release, we have fixed a few issues. If you place two blocks next to one another, and then place a column on the shared wall between them, then set the walls to cutaway view, which will hide the columns, and then you move one of the blocks, the columns that were left behind were remaining invisible. This is now fixed. Have you noticed how issues with building lots are incredibly complex when describing their reproduction? Yea… me too. Stairs placed parallel to double doors should no longer clobber the double doors placement. Yes, “clobber” is a proper technical term – to clob, clobbing, or the act of being clobbed. Fixed an issue that was causing an objects shadow to remain stationary while the object was being rotated. Fixed an issue that resulted if you deleted a light and then chose to undo that deletion, it would kill the ability for the light to ever turn on again. 3 out of 4 teen sweethearts agree we should never have fixed this issue. Counters placed diagonally will now appear visually correct, rather than leave a gap. Placing objects on a roof will no longer clobber objects in the room below it. “Clobber” must be the proper term, I keep using it over and over again. Fixed an issue that would reset adjustments made to the eaves, after using the Move Whole House tool to rotate the house. Mailboxes can now be deleted from a venue lot, or re-added from the catalog if one does not exist. Wall visual settings will now properly respect donut block creation and deletion. Donuts are however not respected, and will be devoured on sight. We fixed an issue where walls built near pool edges were sometimes creating odd routing issues, which were preventing Sims from being able to use objects placed on the walls such as mirrors or paintings. Stairs now move with the supporting block when using the Move Whole House tool. Fixed a z-fighting issue that would result when friezes of different colors would overlap. Fixed an issue that was causing all seats at the edge of a pool to become momentarily invalid when entering and exiting Build Mode, which would result in Sims resetting if they were on the way to use the pool. Fences enclosed within a block built using the wall tool should no longer be improperly lit. Fixed an issue where undoing the action of drawing a wall next to a staircase was causing gaps to appear in the stair geometry. Young Harry is pleased. The Rattlesnake Juice lot is apparently not flat. This resulted in pools that were placed upon this lot being non-routable. We have corrected the issue. The trash plant will no longer change soil type throughout its growth cycle. Sim can now fish at all posted fishing spots near Willow Creek Archive. Did you think I was going to say fish panic? Or run for cover? Have you talked with a fish lately? They don’t do much, kind of swim left and right, open and close their mouth… that’s about it. Updated some of the fishing spots to provide greater variation in rarity. Fixed an issue that would cause paintings to appear self-illuminated on some graphic cards. Sims have a handedness that is set by the game, yep, surprised me too. We fixed an issue where if that Sim was shared to the Gallery they could lose the information that told them which hand they preferred. School will no longer count as a career when attempting to complete the Fabulously Wealthy aspiration. Sims will no longer route fail when multiple craft actions are queued up on the Woodworking Bench. There is now a thought balloon that will inform you that you are overfeeding your baby if you overfeed your baby. We fixed an issue that was disabling Build Mode if you queued up travel and then cancelled the travel action before the map screen. You can now go into Create A Sim and change the name of any of your Sims. So go ahead, download Mr. Fluffy URox0r, because, well... you can change his name. Sims will no longer talk to the dead space that was previously occupied by a traveling Sim. They tried to smile it off, as if the other Sim was really still there listening, but we knew and we snickered a little when they weren’t looking. Fixed an audio issue that could occur when attempting to re-connect online that resulted in the background audio track playing on top of itself. Fixed an issue that was preventing the correct price from showing when attempting to sell a stack of items from the Sim Inventory. Fixed an issue that would prevent ultra-speed from being available after the Maid had left the lot. We fixed an issue that could occur if a household was split via Manage Worlds. It was not properly handling the relationships of the Sims in the household, and parents were not properly being remembered in their child’s relationship panel. Babies no longer will have an unknown trait in their relationship panel display. You can now edit Teens in Create A Sim if they are the only member/s of a household. Tranquilized Sims will now gain energy while they are sleeping. Fixed an issue where food that was left to spoil inside a microwave would prevent a Sim from being able to use or clean the microwave. In some cases this would also prevent the Sim from being able to clean up dishes anywhere on the lot. Sims are no longer allowed to Try On Outfits at a mirror placed over a pool. Sims can now eat food that was placed into the household inventory through a move out or clobber function once that food had been replaced on the lot. So in the real world this would be…I cooked a turkey pot pie, and left it on the counter. And then moved out of my house, leaving my belongings behind for the new owners. The new family that is moving in unpacks and finds the turkey pot pie. And now... they can eat it. That’s… yuck. We fixed an issue that could result when downloading several items (household, lot, or room) to My Library that was causing the ID of the items to conflict with one another, eventually resulting in the inability to place them. Or as auto-correct would have you believe, the id, because, as we know, The Gallery has no ego or super-ego of its own. We fixed an issue that would cause the Sim to place a book on the ground while seated at a desk, and as a result, then reach through the desk to pick the book up if they wanted to read it. And then they might step to the left, and then to the right. They might put their left foot in. And they might pull it back out. And sometimes, though not often, they might put it back in again and shake it all about. Swimming in the pool will now clear the singed state of a singed Sim after being singed by a fire. Sims will no longer walk on water if they were seated close to the edge of the water when instructed to Swim. Sims can now choose to clean up spoiled food from their inventory while swimming. They will not clean up the spoiled food in the pool, they will get out of the pool in order to clean up the food. Fixed several issues with validating object use while swimming in a pool that could manifest in ways such as attempting to use a bed while swimming would result in a route fail. Teens should no longer lose muscle mass from aging from Teen to Young Adult… don't worry teens, you have plenty of time to lose muscle mass later. Sims who went into labor while on a vacation lot, and went home, were finding they were in a perpetual state of labor. They will now be able to give birth as desired. We're very sorry, and deeply regret the trauma imposed upon the Sims who had to endure an unusually elongated labor period. Turns out the fire protection coating applied to babies upon birth was being absorbed by the bassinets, preventing them from burning when no baby continued to reside within them. Sadly, due to a licensing agreement with the Baby No Burn Fire Proofing Protection System, we are not legally allowed to maintain this level of protection when the baby is no longer present in the bassinet and as a result, the bassinets can now burn, turn to ash, and be utterly destroyed by the ravages of a burning inferno. The “Own a Bar and 2 Barstools” goal for the Master Mixologist aspiration will now actually check to ensure you own a Bar. A moment of randomness. I feel every day should have at least one. Stand up and cheer for no reason. Go ahead, do it. Have you ever walked near someone, and just said something completely random (“oh, the salad fork has two tines!”) as if it were a forgone conclusion, smile to yourself as though you had solved a significant issue by coming to this conclusion, and walked on without further need to speak? It’ll make you, and them, smile. And now back to our release notes currently in progress… Where were we? Oh that's right, gameplay. Fixed an issue with the Audio Focus option. If checked, the game audio will now properly duck when the game is minimized, rather than just get really, really quiet. Fixed an issue that was causing the pay bills action to become unstable if the player queued up Pay Bills more than once in a row. Fixed an issue that was causing the Mourning buff to remain stuck on the Sim, resulting in unnecessarily long streaks of sadness, which could cause death, which could cause other Sims to acquire the Mourning buff, which … well you see where this is going. Children, when directed to draw shapes at the Activity Table, will no longer stand, sit, stand, and then sit again before performing the action. They may however still have hidden desires to twirl three times before lying down to sleep. You now can now turn the Spooky and Holiday speakers back on after turning them off, because that would be silly to not allow them to be turned on more than once. Revised the eating vs. idle choice for Sims to weigh more heavily upon the eat side than previously. Sims will no longer believe that toilets will increase their Fun need, causing the Sim to use the toilet excessively when it is the only "fun" thing on the lot. Sitting is fun, sure, but flushing is IN-CRAY-DA-BELL! Fixed an issue that could result in a Sim that was supposed to be at work to show up at home but behave as if they were at work. If you delete your current save while in game, you will no longer be booted to the main menu. The option to "Create New Household to Move In" is no longer available in Granite Falls. Hovertips are now less blurry. If you find they continue to look blurry, eat more carrots. Attempts to comment on the content of a user who has blocked you, will now tell you. Fixed an issue with the cursor in Build Mode, where it was not properly updating as you click on various objects in the catalog. Changing the relationship of Sims in Create A Sim who have the same last name, will no longer remove their last name. This is not easy to do, I tried it, so if you ran into this issue, congratulations on your issue finding skill! We fixed an issue that could occur if, while live dragging an object (your mouse is down to do this), you dragged the object over the Sell option in the Sim Inventory, and then quickly clicked sell multiple times (which requires you to click the mouse button, thus releasing the mouse down state), the sell confirmation dialog that appeared would appear for each click made. Switching the age or gender of a Sim in Create A Sim while viewing an outfit category other than Everyday will no longer reset the Everyday outfit to a seemingly random outfit. In order to avoid any further confusion, all references to "Go Here" shall henceforth be known as "Swim Here" for all swim related travel actions. Crafting a flirty sculpture on the woodworking bench will now inform you that it is a flirty sculpture when you hover over it. We fixed an issue where clicking on the dimmer bar, rather than dragging the button, was not dimming the lights. Fixed an issue where long names were being cutoff in the Genetics panel in Create-A-Sim. This should help anyone who has named their Sim “WWWWWWWWWWWWWWWWWWWW” but could only see the name as “WWWWWWWWWWWWWWW"
Fixed an issue in The Gallery that prevented Show Custom Content and Show Unowned Content filters from being present if the online access was disabled. Spamming Go to Work will no longer grow infinitely in the action queue. Jack, the queue is not your beanstalk. Placing a room from the gallery when you do not own the objects contained within, will now yield an in game message as to the removal of the unowned content. [Mac specific issue] You can now use the left and right command button when attempting to alter the camera angle.